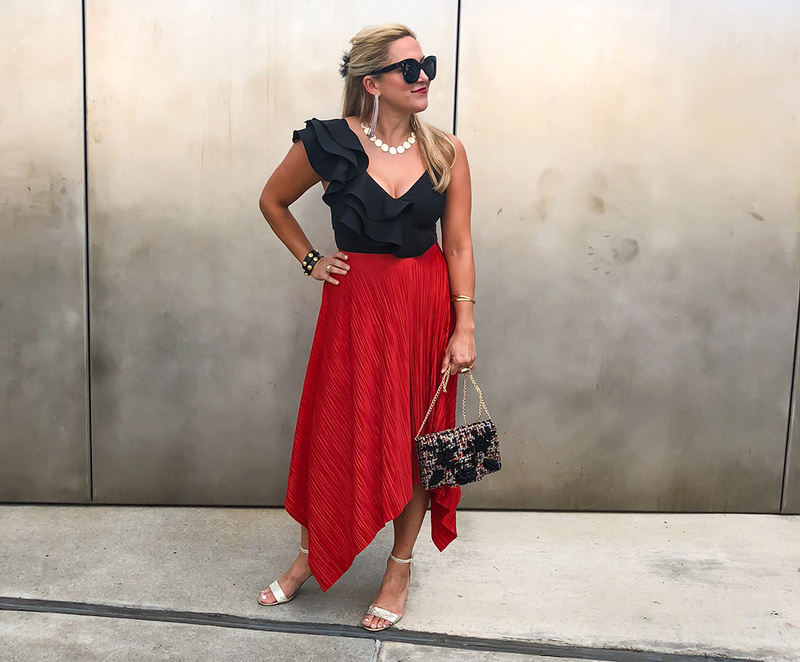 I am excited to share my recent finds from a local favorite, but don’t worry – you don’t have to be local to shop their swoon-worthy collection! The online store has it all and shipping is free on orders over $75. When I saw this embroidered top I knew it had to be mine! I mean if this isn’t the perfect vacay look, I don’t know what is! You guys know I typically stick to a neutral palette, but sometimes ya just gotta spice things up. Shop the top HERE and use code ‘DANNA20’ to take 20% off your entire order! If they don’t have your size in this top, check with the store because they may order more. I am a self-proclaimed accessory snob, and I have to say that there couldn’t be a better selection if I’d picked it myself! I want it all. Seriously. They recently starting carrying BaubleBar as well. Can’t wait to share which necklace I picked out!